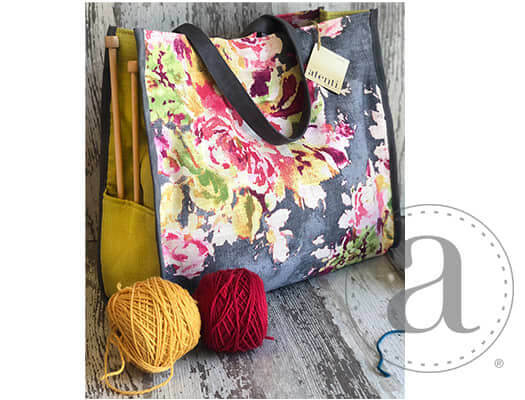 The Atenti Blossom Grey Grand Tote- Blossom Grey features a colorful floral print. A full length opening with a magnetic closure and two outside pockets help make the Atenti Grand Tote the bag to carry anything and everything! It’s practical and roomy with double 26” suede shoulder straps and is fully lined in water resistant taffeta with a zippered pocket and a divided pocket with a cell phone slot.